The highly anticipated Dutch home shirt is now ready to be revealed. 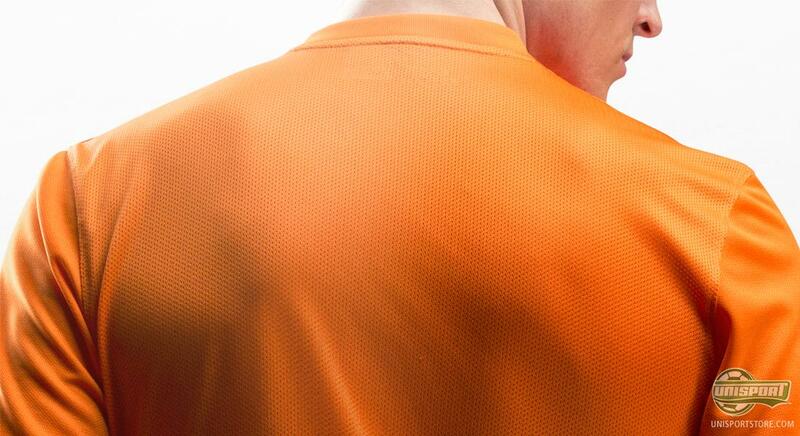 Oranje's new home shirt is nothing short of a study in clinical and classy design. The wait has been long, and Nike have done a good job in terms of keeping us on the toes, but now the time has come. 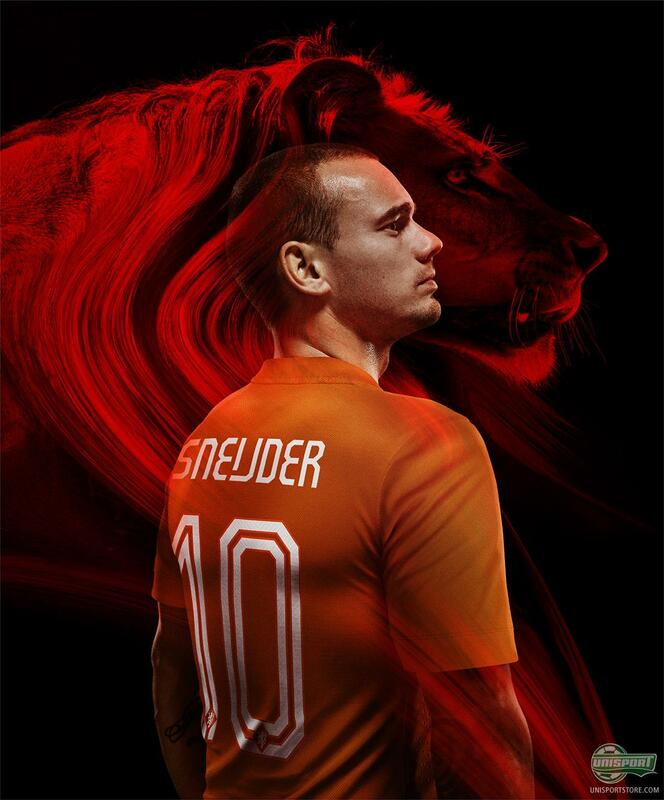 The brand new Dutch World Cup home shirt has landed; and it has been worth the wait, since we are talking about quite the master piece that Nike have composed for the Dutch national team. You can already now pre-order your own Dutch home shirt right here – just €78. 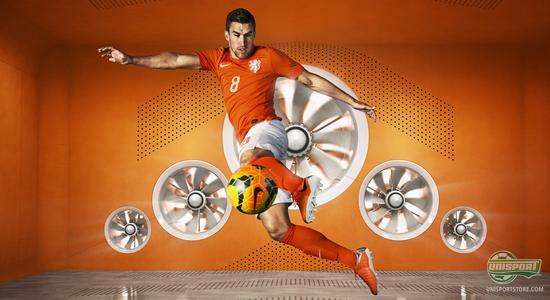 The first and primary tell, that emphasises that the is a Dutch home shirt, is the eye-catching orange colour. Just as we know the Dutch national team's football shirts. But why is it that the good Dutch are always wearing orange shirts? The explanation is found from the Dutch royals, who are associated with the orange colour; and which is why the Dutch national team are also wearing the colour, even if their flag is red, white and blue. We have actually only seen the Dutch wearing a different colour on the home shirt one single time. This was back in 1934, where the Dutch wore a blue shirt. The Dutch football association's logo has gotten a redesign, to show a more retro display in connection with the 125-year anniversary. The very simplistic and subdued logo further adds to the rather clinical display of the Dutch World Cup home shirt. 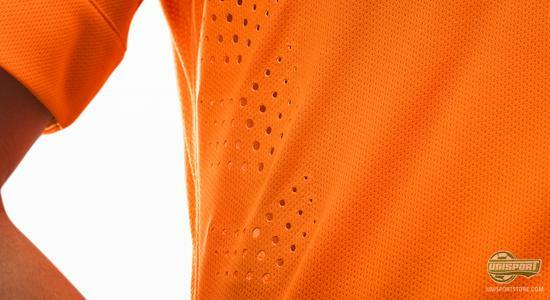 The new Dutch World Cup home shirt is made with Nike's Dri-FIT material, which ensures to wick moisture and sweat from your body. This will certainly come in handy in the heat of the Brazilian summer, and the idea behind is that the players can perform better when their bodies are kept at a more natural temperature, and do not overheat. We are looking forward to seeing the Dutch stars at the World Cup. 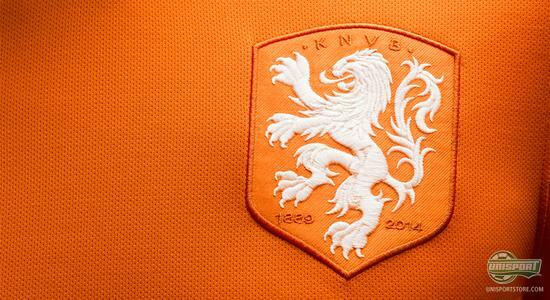 Oranje are going hard from the beginning as they clash with the reining champions from Spain in their first match. A repetition of the World Cup final from four years back, where the Dutch lost after extra time. Maybe the Dutch will do better in their new national home shirt? 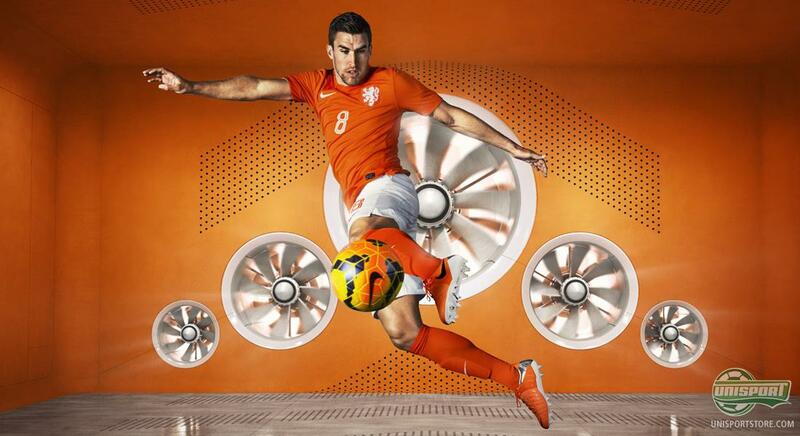 It finally happened, and we could reveal the new Dutch home shirt. What are your thoughts on the shirt? Do you think the Dutch can do the business in Brazil, and maybe go all the way? Take your football passion to a social level and leave us a comment on Facebook or Twitter.